Winnipeg – Canola contracts on the ICE Futures Canada platform posted modest gains to start the week, following advances in U.S. soybeans. Hot weather across Western Canada continues to stress dry regions in Saskatchewan and Alberta. Technical buying was a feature of the day. There are ideas China is more interested in canola than normal, due to the tariffs on U.S. soybeans. However, canola is still considered relatively expensive compared to soy. Losses in U.S. soyoil also dragged on prices. About 14,538 canola contracts traded, which compares with Friday when 20,035 contracts changed hands. Spreading accounted for 5,174 of the contracts traded. 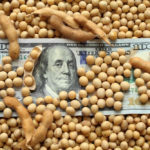 Soybean futures on the Chicago Board of Trade recorded strong gains on Monday, due to short-covering and ideas the market was oversold. Many countries are stepping up to the plate for U.S. beans with the intention of turning around and selling them to China. Malaysian palm oil prices are dwelling near their lowest levels in three years, which was bearish. Corn futures ended relatively unchanged in choppy, technical trade. Cooler weather has set into the U.S. Corn Belt which should give the plants a rest from the recent heat wave. Ethanol prices are also solid right now, which was supportive for corn prices. Hedge funds continue to dump contracts. 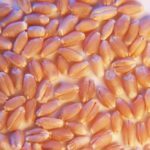 Chicago wheat futures softened on Monday due to harvest pressure. Rain fell over the weekend in Russia, which should help that crop. According to the Rosario Grain Exchange, Argentina’s wheat crop should top 20 million tonnes this coming harvest, which would be a record for the country.